Kolkata Knight Riders (KKR) won by 28 Runs against Kings XI Punjab (KXIP) in the Vivo IPL 2019 6th Match. Kings XI Punjab (KXIP) Won the toss and decided to bowl first. Kolkata Knight Riders (KKR) had Vigorous batting line up with Kick start Opening in the Match. KKR with full swing and never loose the grip in the time of batting to yield the Runs. they fully squeezed the Runs from KXIP bowlers. Kolkata Knight Riders (KKR) scored 218 losing Four Wickets in 20 Overs. Kolkata Knight Riders (KKR) 218/4, 20 Overs. Kings XI Punjab (KXIP) scored 190 loss of Four Wickets in 20 Overs. Kings XI Punjab (KXIP) 190/4, 20 Overs. Kolkata Knight Riders: Narine’s finger injury, that prevented the team from opening with their gun player as a precautionary measure, has healed and the Caribbean spinner was amongst the first few to roll their arm in the nets. In which case, do you still push Nitish Rana down the order despite how admirably he filled in? Rana himself made it clear that not opening with Narine on Sunday was a last-minute call, but his runs at the top of the order will please KKR should they need a tweak and/or a surprise element going forward in the tournament. For Wednesday, the team would likely stick with their winning combination. Though he bowled the game-changing 16th over in KXIP’s defense of 184, Sam Curran was expensive for a frontline pacer. And if KXIP’s pre-match optional nets is anything to go by, Tye is back and raring to reclaim his spot as the leader of their pace attack, as harsh as it might be on the Englishman. Miller and Karun were the other two star attractions and, by the looks of it, likely to walk into the playing XI. Nicholas Pooran and Mandeep Singh could likely be the ones making way, respectively. Mayank Agarwal has 956 runs in 60 IPL innings. If he gets to 1000 runs in his next five innings, he will be the second slowest to the milestone in IPL after Irfan Pathan (66 innings). Sunil Narine needs one more wicket to become the second bowler to take 50 IPL wickets at a venue (Eden Gardens) after Lasith Malinga (58 at the Wankhede). 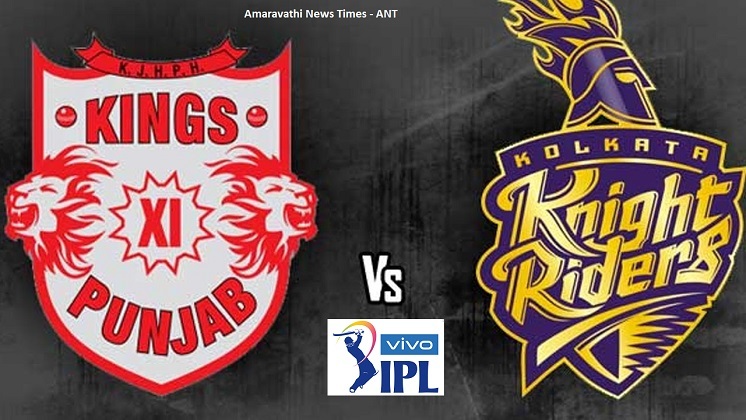 Vivo IPL 2019 KKR vs KXIP 6 Match Cricket News Updates: Kings XI Punjab (KXIP) Won the toss and decided to bowl first. Kolkata Knight Riders (KKR) scored 218 losing Four Wickets in 20 Overs.